Found 736 holiday lettings in Turkey. This 2 bedroom apartment with swimming pool is located in Alanya and sleeps 5 people. It has WiFi, barbeque facilities and parking nearby. This 3 bedroom apartment with swimming pool is located in Kargicak and sleeps 5 people. It has WiFi, a garden and barbeque facilities. This 4 bedroom apartment with swimming pool is located in Kargicak Belediyesi and sleeps 6 people. It has WiFi, a garden and parking nearby. This 4 bedroom apartment with swimming pool is located in Kargicak Belediyesi and sleeps 7 people. It has WiFi, a garden and parking nearby. 3 bedrooms, 2 bathrooms, up to 6 people, private swimming pool, detached villa, covered terrace, A/C included, built-in barbecue. Bodrum,Turgutreis luxury apartment. The best Holiday apartment ever. Only 50 meters to the beach. Located in the famous Island View Complex, it offers every convenience for a great self catering Holiday. 59 km away from the Bodrum Intl. Airport. Sleeps 4/6. 2 bedroom apartments with shared pool on well designed complex. Stunning views of Kalkan bay. Exceptionally light and spacious it has been equipped and furnished with care and attention to make this a perfect holiday home. Turkey > Turquoise Coast / Lycia > Bodrum > Yalikavak > HILLVIEW GARDENS. AMAZEING 2BED ROOFTOP APARTMENT WITH STUNNING VIEWS ACROSS YALIKAVAK. MY LOVELY APARTMENT WITH 2 BEDROOMS. MAIN BEDROOM HAS AN ENSUITE BATHROOM, THE SECOND BEDROOM HAS TWO SINGLE BEDS AND AMPLE STORAGE. IN THE MAIN LIVEING AREA COMBINES ALL YOU EXPECT. A COMPLEAT KITCHEN, TABLE, SOFA BED, TV AND MUCH MUCH MORE. Secluded walled garden in peaceful area of Bitez village, outside covered dining area with built-in barbecue, open poolside shower, pergola, separate children's pool, outside jacuzzi. Cottage not on a complex set in private gardens with large terrace.Gunlukbasi village where you can see the real Turkey but only 5 min by bus from Calis beach. Comfortable,tastefully decorated and fully equipped to a high standard. Newly built on a four acre land in the beautiful countryside of Dereköy and GÃ¼mÃ¼ÅŸlÃ¼k, this fabulous, hidden retreat is the right place if you are looking for a private villa. It is surrounded by a high stone wall and olive trees. Traditionally designed holiday villa rests comfortably among its rural surroandings and offers a slice of Kayakoy life. Inside Villa Ebohora maintains a warm and homely atmosphere throughout and benefits from a range of modern every day amenities. New 3 bedroom, 2 bathroom detached villas (sleep 6) with shared, illuminated pool. Spectacular mountain scenery. Air-con throughout. Close to town centre. Award winning Iztuzu Beach and Turtle Sanctuary. Local transport 100m from door. Beautiful 3 bedroom apartment close to the blue lagoon in Hisaronu Turkey. Here we have a 3 bedroom 2 bathroom apartment close to the blue lagoon in Hisaronu,3 mins walk to the centre,with shared pool and a baby pool. Lavender is located on the outskirts of the village of Islamlar at the foot of the Taurus mountains,a short drive from the stylish resort of Kalkan and offering unforgettable and spectacular mountain views over the Patara plains towards Patara beach. 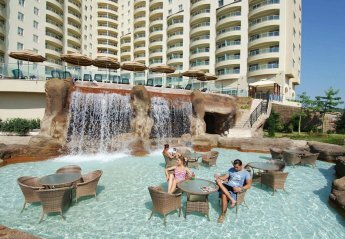 Luxury air conditioned apartment within Turquoise Resort. 7 Communal Pools * Restaurant with WiFi * Bars * Nearby Beach Club * Tennis Courts * Childrens Playground * Bodrum 25 mins. Live booking system via the owners website link (bottom next page). Modern spacious interiors combined with use of 19 pools, private beach, 4 clubhouses with restaurants & bars, golf course, tennis courts and indoor pools and spa facilities make this a resort you don't have to leave. Close to Gulluk and Bodrum . Luxury 4 bed Villa with sea and mountain views, private pool. Villa Asfiya is a large four bedroom villa on the Kalamar Road. All bedrooms are en-suite, two with big balconies and sea views, one with a jacuzzi bath. (Fourth bedroom is a self contained apartment on the ground floor). With such an exceptional location you wouldn't expect it to be located only 15 minutes from Bodrum Airport. Whether you are looking for relaxation in a spa, professional golf, a wealth of ancient history or just a hot climate you will find it here. Verbena 8 luxury 2 bedroom penthouse apartment on the sought after Flamingo Country Club offers peace and tranquillity away from the hustle and bustle of daily life. with spectacular views across Tuzla Lake and the mountains beyond. 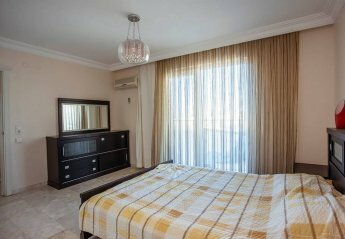 Luxury apartment in Alanya city center, sea and town view, pool outside your door. Walking distance to all facilities; downtown, shopping, restaurants, beach and transportation. Sleeps 4/6 - two bedrooms and sofa in living room. This 1 bed apartment is on the exclusive Royal Heights Resort and has access to the private beach club, clubhouse and swimming pools and indorr spa and wellness centre. Spacious and modern the apartment has open living areas with 1 double bedroom. Designed for open plan living with lounge, dining and kitchen areas, 1 double room with ensuite and 2 twin rooms and large balcony with stunning sea views. Benefits from a large pool and childrens pool area. Spacious, luxurious , 4 bedroomed (all en-suite) villa with own pool and beautiful mountain views. In a quiet location, yet only 5 minutes walk from quayside, restuarants & shops. 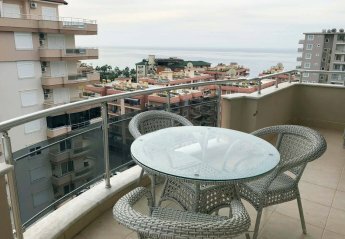 A very attractive 2 bedroom apartment with swimming pool view, this 2 bedroom apartment can provide everything you need for a perfect holiday in the sun. Located in Mahmutlar, Alanya. Walking distance to all facilities - beach, shops and restaurants. 1 double bedroom, 1 bathroom, private swimming pool, built-in barbecue, covered terrace, deatched villa. 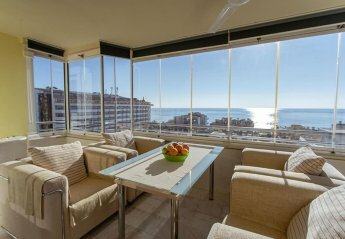 Superb fully air conditoned 2 bedroom apartment close to beach, town and golf.